Good morning crafty friends… Helen is here today. 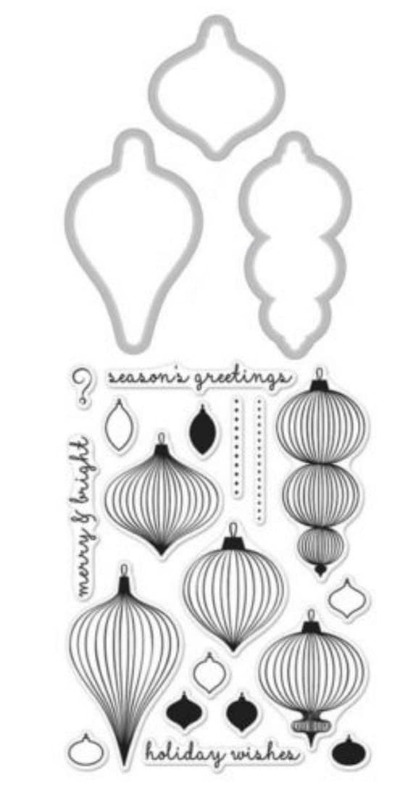 I’d like to share with you an ornament card and some mini tags that I created using Ornaments Stamp and Cut set. This stamp and cut set is not only for cardmaking, but also for other paper-crafting projects. 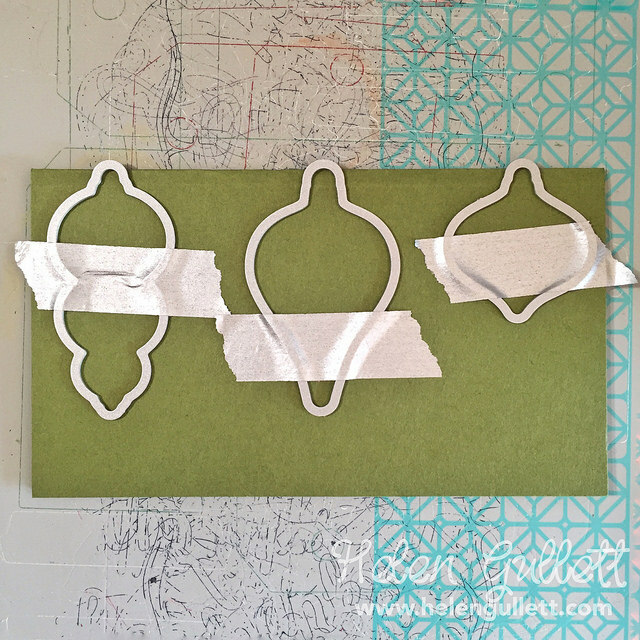 You can stretch your stamps and die sets for different projects. The sky’s the limit! To make the mini tags, first, I cut out the cardstock in 1.5″ wide and 5″ long and then folded it in half. Then I added the dies slightly off the folded edge. Then I ran it through the die cutting machine. I did these steps for green and red cardstock. This is how they look after cutting. You will have the folded edge uncut. After all the cardstock was cut, I started stamping the matching the stamp on each shape with VersaMark ink pad. Then I added some Gold Embossing Powder and heat set them with a craft heater. 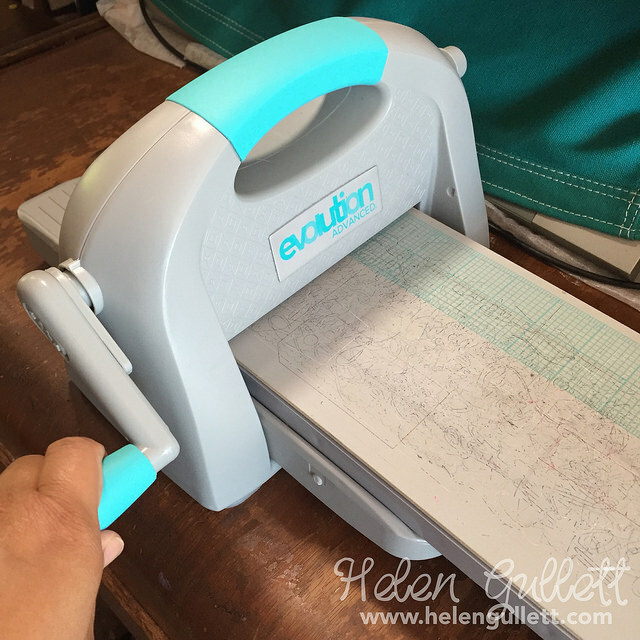 You also can reverse the steps if you feel more comfortable with stamping the images first then cutting them out. I used my WRMK hole puncher to add the hole for strings. I used some of the ornaments on the card with natural twine for the string on the card. Then I embellished them with some gems. I cut out a couple labels out of the matching cardstock and heat embossed the sentiment that comes from the the same stamp set. Some of them I use as mini tags. They are super cute 🙂 I hope this projects can give you some inspirations to play along with our monthy challenge: Make It A Tag. By linking up your projects, you have a chance to win $25 Gift Certificate to the a2z Scrapbooking Store. And, whenever you shop for Hero Arts products and crafting supplies at a2z Scrapbooking store, you can use this code Helen15 , to get 15% off your purchase of $25 or more (exclude shipping). THANK YOU for visiting today and have a fabulous day! 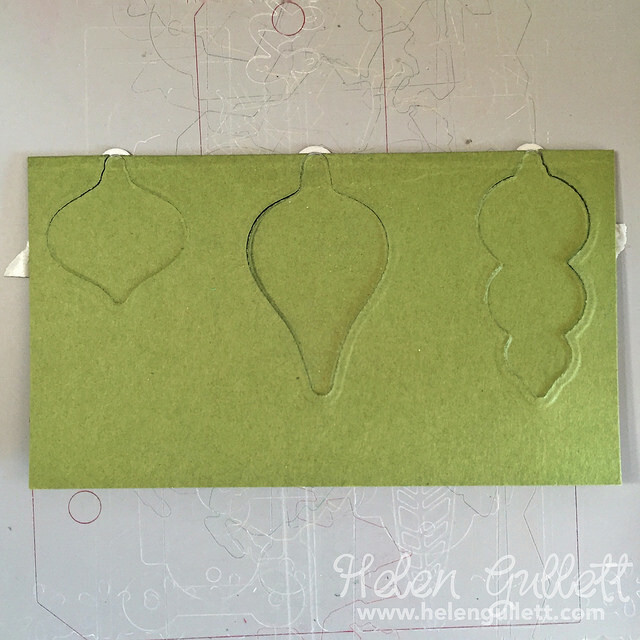 Categories: Christmas, Clean and Simple, Embossing, Handmade Cards, Hero Arts, Tags | Tags: card, Christmas, Diecutting, embossing, Helen, tag | Permalink. Both card and tags so delightful! Thanks for the photo tutorial. Wonderful. Love the embossed background and ornaments.